People who suffer traumatic brain injuries or develop certain neurological conditions may need consistent treatments, including medications and other therapies. Sometimes, secondary conditions develop because of these traumas which impact behavior and other mental functions. These secondary conditions often exacerbate the original trauma. Drugmakers are constantly creating new medications indicated to treat these conditions, but these manufacturers do not always seem to have patients’ best interests at heart. Sometimes, profit appears to trump patient well-being. This “profit over patient” mentality seems to be playing out in a scandal involving the prescription drug Nuedexta and its manufacturer, Avanir Pharmaceuticals. A CNN investigation into the pharmaceutical company found Avanir may have been pushing healthcare professionals to dole out prescriptions of Nuedexta to patients who wouldn’t necessarily benefit from the drug. In some cases, the drug proved to be harmful. Meanwhile, Avanir raked in millions of dollars in sales from its first-in-class drug. In 2010, the U.S. Food and Drug Administration approved Nuedexta, the first and only drug of its kind approved to treat a rare condition called pseudobulbar affect, or PBA. PBA can occur after a traumatic brain injury or as a secondary condition related to certain neurological conditions like multiple sclerosis (MS) and amyotrophic lateral sclerosis (ALS). PBA displays as sudden and frequent episodes of uncontrollable laughing or crying, which can cause anxiety or embarrassment, especially in public settings. Since its approval, the drug has brought in millions of dollars in sales for Avanir Pharmaceuticals each year. Nuedexta is often prescribed to elderly patients with dementia or Alzheimer’s disease, especially those living in nursing homes. An investigation by CNN uncovered potentially fraudulent sales tactics on the part of Avanir, accusing the drug company of pushing Nuedexta on patients who do not have a PBA diagnosis in order to secure Medicaid funding1. According to their investigation, CNN found Avanir was “aggressively targeting elderly nursing home residents for whom the drug may be unnecessary or unsafe.” The news outlet also found that some doctors were inappropriately diagnosing dementia patients with PBA and then prescribing them Nuedexta to secure kickbacks from Avanir, or fraudulently securing Medicaid funding when the drug was prescribed for off-label uses. 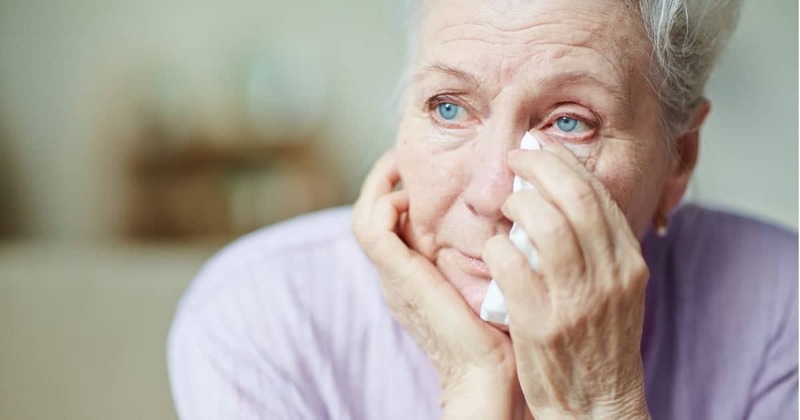 Though some dementia patients may suffer from PBA, the CNN investigation revealed many dementia patients were being prescribed Nuedexta to control “unruly behaviors” associated with the disease, not because of PBA. Federal regulators are concerned that Medicare may be paying for fraudulent Nuedexta prescriptions, costing taxpayers millions of dollars. More importantly, thousands of elderly nursing home patients may be prescribed a potentially harmful drug while its manufacturer is making millions of dollars. The federal government is now warning insurance companies to watch out for suspicious prescriptions of Nuedexta and is looking into whether or not Avanir committed fraud2. Nuedexta carries the risk of potentially dangerous side effects, and thousands of people may have been falsely diagnosed with PBA then given a drug that is unnecessary and possibly harmful. These false diagnoses are in addition to the potential fraud that could be costing the federal government millions of dollars in the form of Medicare Part D prescription funding. The FDA never approved Nuedexta to treat agitation or other behaviors associated with Alzheimer’s disease and dementia. It is only approved to treat PBA. The Nuedexta label now includes a statement explicitly saying the drug is not proven safe or effective for these patients. Despite this, Avanir Pharmaceuticals was potentially pushing sales of Nuedexta onto an incredibly vulnerable population—elderly nursing home patients with dementia—while paying kickbacks to doctors who prescribed their medication. Avanir is now facing lawsuits over Nuedexta filed by patients and their family members who want to hold Avanir accountable for harm caused by unnecessary or unsafe prescriptions. Nuedexta is approved to treat PBA in certain patients, including those with ALS and MS. It is not shown to be safe or effective in people with Alzheimer’s or other dementias. Nuedexta is a combination drug comprised of dextromethorphan and quinidine, which act on receptors in the brain to treat symptoms of PBA. Now, roughly eight years after it hit the market, the government is keeping an eye on Nuedexta prescriptions to make sure the drug is being given to patients appropriately. This oversight is essential not only to ensure that taxpayer dollars are used wisely but also to ensure patients are not harmed in the name of drug sales. Serious side effects are possible for people who do not suffer from PBA take Nuedexta. For this reason, patients affected by Nuedexta are filing lawsuits against Avanir. Avanir stands accused of paying illegal kickbacks to doctors who wrote more prescriptions for Nuedexta, even if those prescriptions were for patients who did not suffer from PBA. Although prescribing a drug for off-label uses is not illegal, securing Medicare funding for those prescriptions is considered fraud. Paying kickbacks to doctors as an incentive to write more prescriptions is also unlawful, as is aggressively marketing a drug for uses that are not approved by the FDA. Categorized as “Central Nervous System, Other” by the agency that classifies prescription drugs for Medicare reimbursements, Nuedexta is not an antipsychotic. Antipsychotics work by altering the effects of different chemicals in the brain and are typically used to treat specific disorders like schizophrenia and bipolar disorder. Nuedexta is used to treat PBA and works by acting on specific receptors in the brain, although scientists are unsure of the exact mechanism of action. More serious adverse side effects may also occur when taking Nuedexta. This may include the worsening of a condition called myasthenia gravis, which occurs because of the effects of quinidine, one of the chemicals used in Nuedexta. People with myasthenia gravis can experience rapid muscle fatigue, which leads to drooping eyelids and mouth. These symptoms could be signs that the body is having a negative reaction or allergic reactions. Nuedexta may interact with other medications and not recommended for patients who are already taking quinidine or who are taking a type of antidepressant called MAOIs. Check the Nuedexta label or call your doctor for a complete list of side effects and possible drug interactions. Blake Ellis, Melanie Hicken. “The little red pill being pushed on the elderly”, CNN, https://www.cnn.com/2017/10/12/health/nuedexta-nursing-homes-invs/index.html. Accessed June 6th, 2018. Blake Ellis, Melanie Hicken. “Government issues warning about pill pushed on the elderly”, CNN, https://www.cnn.com/2018/06/04/health/nuedexta-government-warning-insurers-invs/index.html. Accessed June 6th, 2018.